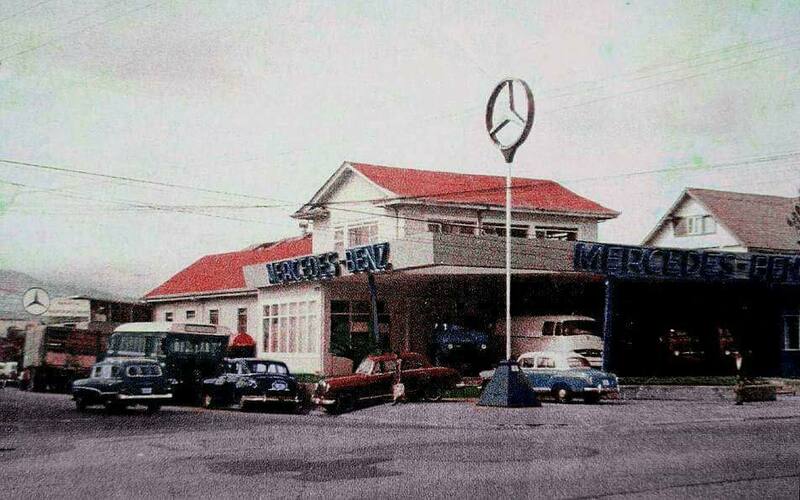 The Mercedes Benz dealership on Paseo Colon. Photo from Facebook Club Mercedes Benz Costa Rica. This undated photo is of what was the old Mercedes-Benz dealership in Costa Rica, Auto Mercantil, located on Paseo Colón. 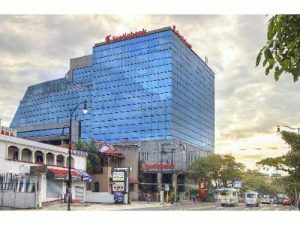 On the site now stands the 12 storey “Edificio Torre Mercedes” built in 1998/1999. The building was the first smart office building in the San Jose area. The Mercedes Benz dealership of Costa Rica was located on the ground floor. Though the building is called the Scotia Tower since Scotiabank bought most of the office space in the building and the bank’s name and logo dominate, the name Torre Mercedes has stuck, and continues to be called as such. In 2003, the then Daimler Chrysler took over the brand in the country under the AutoStar dealership, headquartered in La Uruca, making it publicly clearn that Automercantil no longer had any association with the Mercedes brand.